I was born January 1938. I turned eighty on New Year’s Day. I have been anticipating this milestone since last New Year’s Day and planned to write about the view of life from this vantage point in my January post. I find now, though, that what I really want to write about is not me. It is the sixteen-year old girl who gave birth to me in a county hospital during the miserable winter of what was perhaps the lowest point of the Great Depression in California’s Central Valley. 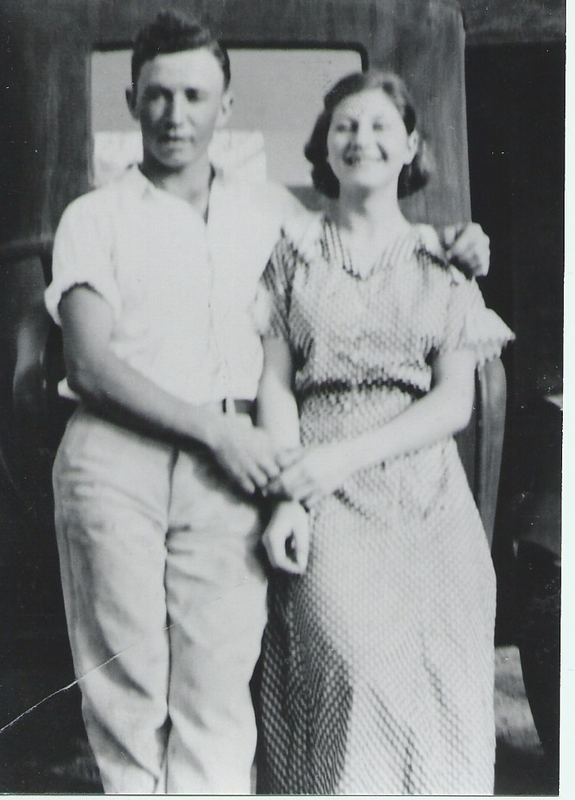 My mother, Agnes Young Willems, was fourteen when she married my father in 1936. She left her comfortable home to joined him in his vagabond life traveling California’s country roads, sleeping in tents and cabins, picking up work wherever they could find it—harvesting grapes, peaches, apricots in spring, summer and fall, pruning grapevines and fruit trees in winter, ready to pick up and move on whenever work dried up or Dad got an itch to go to someplace new. Two years after she married my dad, Mom gave birth to me, her first child. She was sixteen years old. That age did not seem remarkable to me when I was a child. Mom was younger than my friends’ mothers, but I liked that. She was so much prettier than those other mothers. I was proud of my young mother. She was PTA secretary one year and room-mother of my fourth-grade class room. I loved having her there in my school world, loved it when she visited my class. No other kid I knew had a mother as young and pretty as my mom. Even when I reached my own teen years, I took Mom’s early marriage and early motherhood for granted. Adult life started early in my world. Most of my aunts married in their late teens or early twenties. Nineteen seemed the perfect age to me. Most of the brides in the wedding photos published in our local newspaper, The Stockton Record, were around twenty-one or twenty-two, getting married right after graduation from college. Since I, too, wanted to go to college I figured that what I could do was to get engaged at nineteen then marry right after graduation. Just how young my mother was when she married didn’t really hit me until my oldest daughter reached fourteen. At fourteen my daughter was barely out of childhood. At sixteen, though very responsible for her age, she was still far, far too vulnerable, too tender, to take on either marriage or motherhood. How did my mother do it? How had she managed to be the responsible, dependable foundation of my life? I shall be writing about my mom in the months ahead, pulling up my memories of her. The book about my father’s family, The Gift of Laughter, is finally finished. It is time to let my father slip into the background, time to let my mother come forward. I want to spend time with her, make visible the critically important role she played in my life, try to do justice to her as a person in her own right. The photo below is my mother’s 8th grade graduation picture. She is seated at the right end of the row. She eloped with my father the following January. 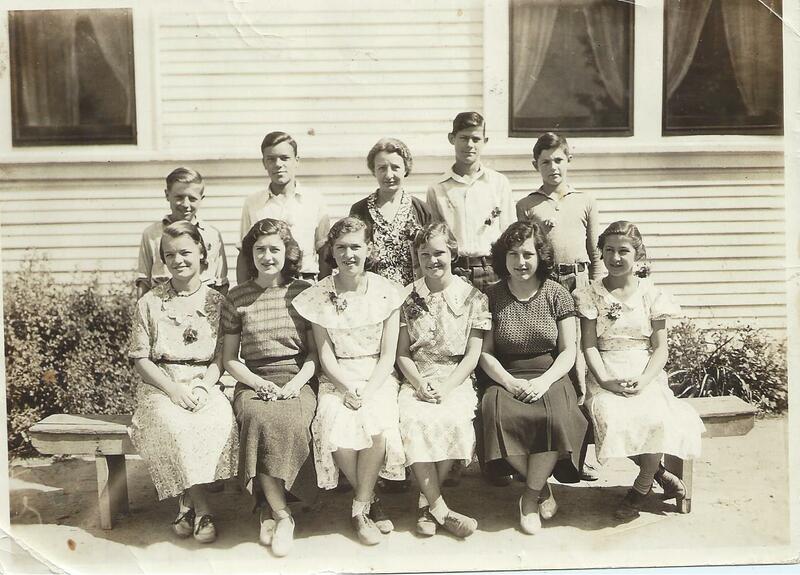 8th Grade graduation photo, 1935. Live Oak School, Lodi, California. The photo below was taken about ten months after I was born. Mom was seventeen in this photo; my father was twenty-four. Jacob & Agnes Willems, November 1938. Clear likeness between you and your mom. And now people say my daughters look like me–strong genes. I’ll look forward to your posts, Loretta! It’s nice to know you’ll be reading them, Loretta. Hi Loretta…this new project sounds great! I’m looking forward to following this blog! I’m so glad. Knowing you are reading my story makes a difference, helps shape my words. When you write, things seem to come alive! Really excited to know you are going to bring yet another story to life. Linda, that’s one of the nicest things you could say to a writer. Thank you.